Brother DCP-750cn Printer For the most cost-effective, yet high-quality Brother DCP-750cn ink cartridges there's no one better to turn to than right here at InkNTonerUK! - The Brother DCP-750cn ink cartridges bought from us are ALWAYS the best in quality achievable, and have longer lasting life-spans overall, as the quantity of ink contained in each cartridge is to its full potential! - But what about the costs!? 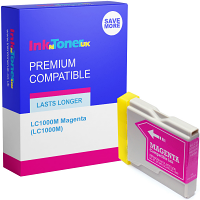 The costs InkNTonerUK charge for you to acquire the relatable Brother DCP-750cn ink cartridges are significantly cheaper than the same products purchased elsewhere. 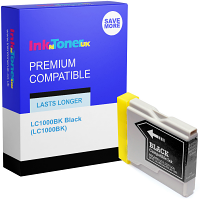 InkNTonerUK work hard to gain the best possible deals for you, so what's the wait, opt your preference of purchase today! Printing Mono (Black) documentations at speeds of UP TOO; 25 PPM (Prints per minute), and generating high-quality prints of Colour documents such as imagery and photos at speeds of UP TOO; 20 PPM, gives the Brother DCP-750cn printer that sense of swiftness you need for reliable larger quantity printing! 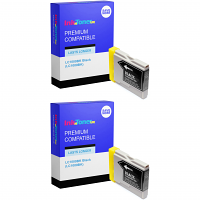 With use of your NEW Brother DCP-750cn ink cartridges you will produce these first class prints on many diverse media types, to hold an all-embracing usage choice, these primarily include; Plain paper, envelopes, cards & transparencies.. The Brother DCP-750cn printer is a great printing mechanism, and its specifications and characteristics supplies its benefits in any location that requires the service of printing, but its proportions suggest superlative usage amongst smaller medium sized, and home office areas The Brother DCP-750cn printer is an idyllic printer for all purposes! -Previously, have you had to limit the usage of your printer as ink prices were too high to make such regular purchase? Well at InkNTonerUK NONE of this is a worry - get hold of the relevant NEW longer-lasting Brother DCP-750cn ink cartridges as and when you need, No complications! 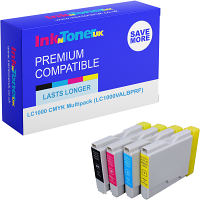 The InkNTonerUK team recommend you 'Bookmark' this page This will give a direct means of getting right here, for no difficulty whenever you obligate the acquirement of NEW Brother DCP-750cn ink cartridges!